Victor is a graduate of Oberlin College and New York University Law School. He served in the Peace Corps in Tanzania in 1967-68, teaching history and English at a secondary school. 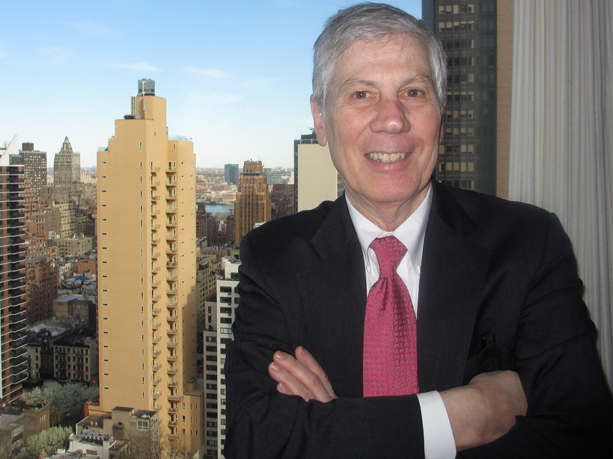 After admission to the New York Bar in 1969, he continued in public service, beginning his legal career as an Assistant Corporation Counsel in the New York City Law Department. There, he participated in a number of important state and federal court cases on behalf of the City, including successful defenses of the landmark designations of the Greenwich Village Historic District and of Grand Central Terminal. Subsequently, he joined Wolf Popper, specializing in securities litigation, and later moved to the litigation department of Reavis & McGrath (later Fulbright & Jaworski), where he handled commercial, securities, banking, intellectual property, real estate, health care and other regulatory matters. Having gained the ability to handle complicated cases independently, Victor opened his own firm in 1979 and since then has practiced either independently or in a small firm environment, adding areas of practice in international law, trust and estates law, trademark law and oil and gas law. He has been counsel to Scheichet & Davis, a small litigation oriented firm, from 2003 to date, and also practices independently. Victor has tried cases in state and federal courts in many parts of the United States. He is admitted to practice and has handled appeals in the Second, Third, Ninth and Tenth Circuit Courts of Appeals and the United States Supreme Court. He has arbitrated cases before the American Arbitration Association, the New York Stock Exchange and the Financial Industry Regulatory Authority, and has appeared before the Trademark Trial and Appeal Board of the United States Patent and Trademark Office. He is a court-certified neutral mediator in the Alternative Dispute Resolution Program of the Commercial Division of the New York State Supreme Court for New York County, which calls upon him frequently to mediate settlement efforts in difficult cases. Fluent in French, Victor represents a number of French businesses in their United States activities. He offers bilingual support to French-speaking clients and their attorneys, and has close relationships with lawyers and law firms in France, Switzerland, Russia and elsewhere in Europe. He has lectured in France on American litigation practices, appeared in a French court in Paris in Hague Evidence Convention discovery proceedings and, via video recording in a panel discussion, held in Paris, gave an American view, to a French audience, of the European legal concept of selective distribution. Victor's international practice centers around multijurisdictional client representation. He assembled and coordinated the legal team that has been handling the US aspects of a complex French/US estate litigation. He currently represents a French banking institution in US-related cases including a Madoff-related litigation in the New York Bankruptcy Court, and other matters. For the last ten years he has worked extensively on estate and other types of cases as US corresponding counsel for one of the oldest Russian law firms in Moscow. Victor is a member of the International Law Section of the New York State Bar Association, the American Foreign Law Association and the French-American Bar Association. He is listed in Who's Who in American Law and has been rated by Martindale-Hubbell as a "pre-eminent a v" lawyer, its highest rating.